Dubai: Shaikh Zayed Road will continue to host the “world’s tallest hotel”, with the opening this week of the Gevora built by the Al Attar Group. The 75-floor structure stands at a height of 356 metres (1,167.98 feet) and has 528 rooms. It is located right near the DIFC cluster and with the Emirates Towers as neighbours. Gevora and the Al Attar Group hope to take over the world’s tallest hotel mantle from the JW Marriott Marquis Hotel just down Shaikh Zayed Road, which soars to 1,165 feet. The property opened in 2012 and has 1,608 rooms. Dubai has two other entrants in the tallest hotel stakes, in Rose Rayhann, which stands tall at 1,093 feetk and the Burj Al Arab, at 1,053 feet. 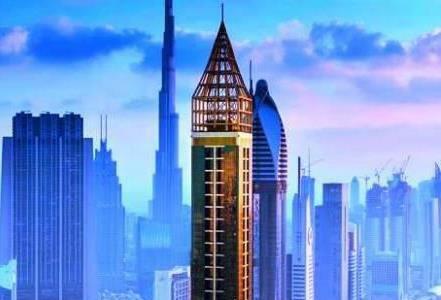 The Al Attar Group has multiple high-rise interests along Shaikh Zayed Road. Most of the other hotels in the tall rankings are dominated by Chinese developers and their flagship hotel projects. Gevora’s opening on February 12 will allow for a better balance to be struck between Dubai and China in hosting these eye-catching landmarks. The Al Attar Group has multiple high-rise interests along Shaikh Zayed Road; in fact it was among the handful of developers who moved in with projects just as the location on either side was coming into prominence in the early 2000’s. Shaikh Zayed Road shot into prime time prominence with the Emirates Towers, which opened in April of 2000. Prior to that there were just the towers on the opposite side of the Road and near the Crowne Plaza. Then the freehold boom started in Dubai in earnest and the Burj Khalifa and the many signature towers within the DIFC cluster came into being. And later on there was Business Bay and its line-up of Executive Towers. Now that the Gevora is all set to open its doors, what next for Dubai's Shaikh Zayed Road? Is there space left for new builds on what is already an area with the highest concentration of high-rises? There could well be new possibilities taking shape, with the Dh5 billion Emirates Towers Business Park as a possible destination. And further down the Road, there will be two “super-tall” structures forming part of “Uptown Dubai”, which will be built by the Jumeirah Lake Towers developer DMCC.